A bunch of brand new posters for Venom have arrived online. It was clear from the start when Tom Hardy signed on to play the lead in the movie that Sony would certainly focus a lot on his character in the marketing. But so far, all of the posters that have been released focus solely on Eddie Brock and/or Venom, despite the fact that this movie does have an impressive cast to its name. These new posters are no different, but they're quite stylish nonetheless. The first three posters are bathed in pure black and white splash paint art, save for the red of Venom's tongue and mouth. One is just a massive, front view of the character's face, sporting a massive, toothy, open-mouthed grin. The other two are more comprehensive, with the character set against a white background, one with a front-facing view and the other catching his menacing profile. Regardless of how the movie ultimately turns out, if you're a fan of the character, these would probably be something worth hanging on your wall. Sony has a lot on the line with this movie. While Spider-Man is off hanging out with his fellow heroes over in the Marvel Cinematic Universe, Sony is trying to make use of the massive stable of characters they have the rights to, all of whom are at least tangentially related to Spider-Man. The tricky part is that they won't be able to use the webslinger in these movies, so they're going to have to make these characters and the possible universe they're planning stand alone. For starters, they're turning Venom into an anti-hero, despite him being classically portrayed as a villain in the pages of Marvel Comics. In addition to Tom Hardy, the cast also includes Michelle Williams, Jenny Slate, Woody Harrelson and Riz Ahmed, who is playing the main villain and will become the symbiote Riot. The project comes from filmmaker Ruben Fleischer, who previously directed Zombieland. Hardy recently revealed that he's contracted for three movies, assuming this first one goes over well. 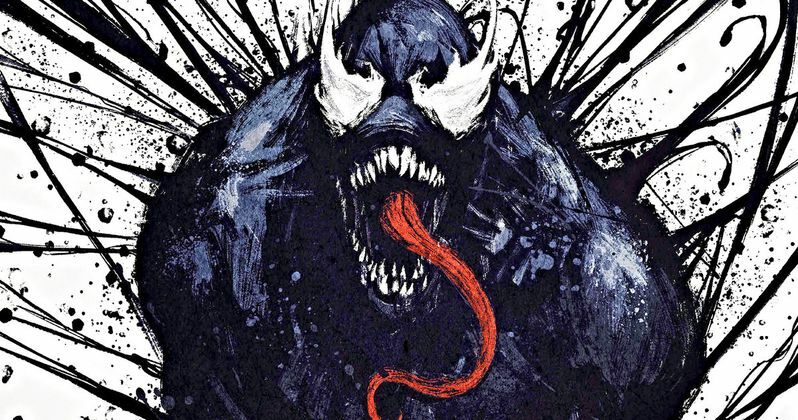 Fleischer also teased that they have possible plans for Carnage and She-Venom in the future. Again, that hinges on how this first one does. It doesn't appear that Sony is getting too far ahead of themselves just yet. Though, they are developing other projects centered on characters such as Morbius, Nightwatch and Kraven the Hunter. We're still nearly a month out, but early box office tracking numbers have Venom pulling in $60 million or more on its opening weekend. That would be good enough for the October record. The question becomes, can the movie have a solid holdover and will critics also buy what they're selling? Curiosity alone could bring in enough moviegoers on opening weekend, but it's going to take more than that to make this movie a hit. Sony is set to release Venom on October 5. Be sure to check out the new posters for yourself below.